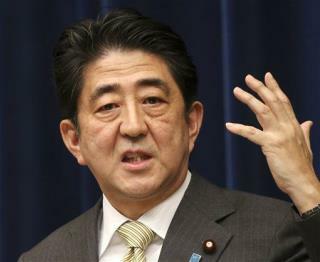 (Newser) – Japan secretly executed two men today, in the fourth round of such executions since Shinzo Abe took power last December. Justice Minister Sadakazu Tanigaki signed off on the secret orders for Mitsuo Fujishima and Ryoji Kagayama, both convicted murderers, who likely would have been told of their fates only hours before the executions were carried out; families and lawyers are kept in the dark until later. The government's actions suggest a plan to hold secret executions every few months, despite outcry from the international community, the Guardian reports. Wait, why can't they be like America where we spend millions of dollars keeping dangerous criminals alive in prison and rack up debt in repeated court processes...that makes so much more sense. What Japan or any other nation does with it's violent, dangerous criminals is none of the fkg International community's business.